Reading the European Commission's reports on the progress of reforms of the judiciaries, the fight against corruption and organised crime in Bulgaria and Romania can impress with the visibly more significant progress by Bucharest. Although the picture in the country is far from rosy, there are several things that are entirely missing in Bulgaria and pleasantly draw attention in the report on Romania. The first thing is that there are institutions and individuals in the country whose determination to consolidate progress has not declined in spite of the hardships, especially in 2012. This is a hallmark year both for Romania and the Cooperation and Verification Mechanism (CVM). Then, right before the Commission was to publish its summary report on the five years of functioning of the Mechanism, there was a serious political and constitutional crisis in the country that put in doubt as the purport of the CVM so, generally, the chances Romania to ever establish a rule of law state. 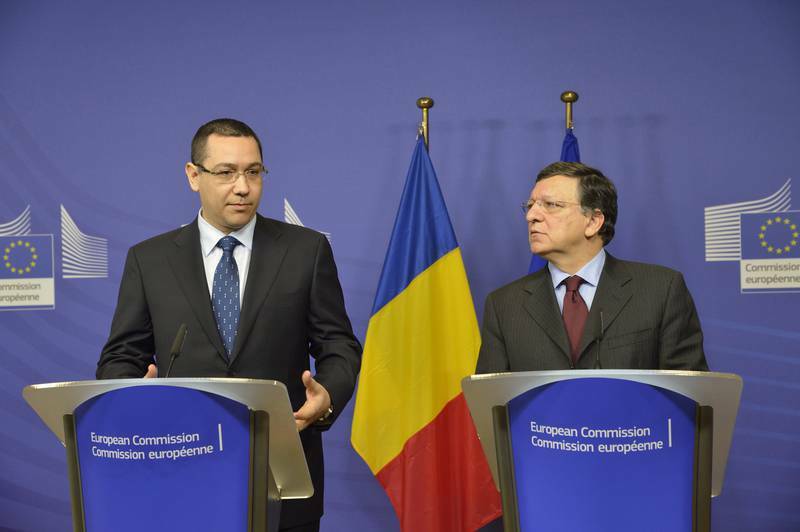 After an extremely blunt report which, instead of a summary, turned into a blunt criticism of the developments in Romania in the summer of 2012, the Commission decided to publish an extraordinary report several months later, which, too, was unprecedented. Not only in terms of bluntness, straightforwardness and relentlessness of the tone, but also because it put media precisely where they should be in terms of responsibility for reforms - at the core. The second thing that draws attention a year later is that the independence of the judiciary and the rule of law were a central theme in the Romanian public domain, moreover the debate was predominantly initiated by the judicial institutions. This has led to greater confidence in the Romanian judicial institutions. According to a special Eurobarometer opinion poll, the Romanians' trust in the judiciary is 44% which is not far from the EU average of 53%. Romania is rated 17th of all 28 members of the Union in terms of confidence in the judicial institutions. And if that is not success! The third huge difference with Bulgaria and it can also be said a huge success of the Romanian reform is that the Romanian Constitutional court withstood the political pressure. It is pointed out in the report that although it is not exactly part of the judiciary, the Constitution and the Constitutional court are "at the core of the rule of law". The attack of the Romanian authorities on the Constitutional court in the summer of 2012 were not repeated. Furthermore, the report states that this even helped consolidate its role as an important arbiter. Quite the opposite to what the Commission found in Bulgaria where the appointment of constitutional judges is the second most hideous thing after the appointment of Delyan Peevski as head of the State Agency for National Security. 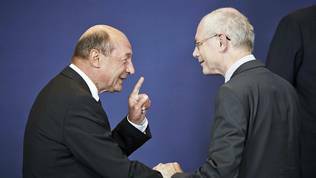 That is why the Commission's conclusion that "The Court will continue to have a key role in defending key principles like the separation of powers, including any future discussion on Constitutional change", is somewhat logical. Whilst in Bulgaria, the conclusion is that key appointments are made with the participation of the oligarchy. But in spite of the good news, the Commission is afraid that the attacks against the Constitutional court will continue this year too, which is why it recommends, in the very beginning of the report, to ensure that the Superior Council of Magistracy (the equivalent of the Bulgarian Supreme Judicial Council) has the possibility to comment on everything related to the judiciary. Special attention should be paid on rejecting proposed amendments that could increase the politicians' chances to exert pressure on the judicial management or to put in doubt the independence or authority of the judiciary. And while in Bulgaria the SJC is a source of doubt and concerns regarding its integrity and ethical behaviour, in Romania its equivalent is the main defender of judicial independence and has so far implemented this task "in a systematic and professional way, which has helped the issue to be taken more seriously by citizens and politicians". And that is the fourth very important difference from Bulgaria. Fifth, although not in significance, the report notes the good work of the National Integrity Agency (ANI) which has something Bulgaria does not - track record. Not only this, but ANI has continued to consolidate the track-record in spite of the many obstacles. For example, the leadership of the agency was subjected to a series of attacks that often coincided with cases against high level political figures. But exactly here the National Integrity Council proved useful as an oversight body that succeeded to explain ANI's mandate and to interfere publicly when necessary. The report notes that the agency is successfully established as an institution with government's help which provided resources for its efficient functioning. Moreover, the agency's relations with other government institutional proved crucial. The results speak for themselves - ANI's decisions, although often challenged in court, are to a large extent confirmed by courts. Those are 80% of all the cases that involve conflict of interest. No one can resist the temptation here to recall with grief the Commission's findings about Bulgaria regarding conflict of interest: "On average, it takes CPACI (commission for prevention of conflict of interest) 4 months to establish whether a conflict of interest exists. To date, it has proved difficult for CPACI to identify conflicts of interest, especially in more sensitive cases. According to a report presented by Parliament, 146 out of 860 case files remain pending. In 92 out of 103 cases of established conflict of interest the court has rejected the Commission's findings". That is why, the recommendation for Bulgaria is to review the conflict of interest procedures in such a way to ensure their efficiency and unbias, as well as confidence in the sanctioning mechanisms. The recommendation for Romania definitely shows upgrade over an already realised progress. The Commission recommends Bucharest to develop a new system for ex ante detection of conflict of interest before a public procurement contract is signed. It is also recommended the official found guilty in conflict of interest to pay a share of the contract cost if it is already signed. This should be applied also for contracts involving EU funds, the report says. The indeed pleasing picture in Romania is overshadowed by the sabotaging efforts of the Romanian parliamentarians. It is pointed out in the report that all sensitive steps so far led to systemic attempts by Parliament to undermine the efficiency of the integrity framework. There are cases when attempts were made to change the compatibility rules for the local elected representatives in the summer of 2013 or the recent attempts for changes of the Penal Code which would open an umbrella over entire categories of people and would shield them against the integrity rules, including those for conflict of interest. Not only this, but Parliament often dared not to apply rulings by ANI even after they were confirmed by courts. The government is to propose amendments to the law on ANI aimed at enhancing and consolidating the agency's role which, the Commission believes, will be an important test for the political readiness in Romania the integrity framework to be maintained effective. And, as a matter of fact, the most important message in the report on Bulgaria's northern neighbour is that there definitely is progress, at times it is even significant, but it is too hard to assess whether it will have roots. Anyway, Romania marks an impressive, for the Bulgarian standards, progress in the fight against high-level corruption. And here, our twin in the CVM has a good track-record as a continuation of previous efforts which, evidently, shows continuity. The Commission reports that since the last report the anti-corruption agency of Romania, DNA, has maintained the track-record, also in spite of the hard circumstances. "Both in terms of indictments and convictions, the application of the justice system to powerful political figures has been an important demonstration of the reach of Romanian justice", is the assessment of Brussels. Something which Romania has all reasons to boast about, unlike the petty attempts by the Bulgarian authorities to boast assessments in the Bulgarian report that are hard to recognise as positive. The report points out, however, that regarding the fight against high-level corruption as well the political class in Romania is resistant. Specifically outlined are statements by Romanian politicians in support of convicts of corruption. 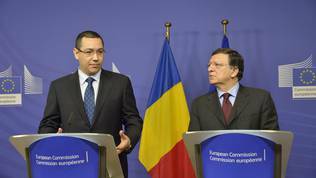 The inconsistent application of the ministers' rules for resignation creates a feeling of subjectivity, is another assessment by the European Commission, which is a continuation of the unprecedentedly direct recommendation from January last year the Romanian politicians to resign even when there is the slightest doubt in their integrity, corruption or conflict of interest. Something which, regretfully, is missing in the report on Bulgaria and that shows that the benchmarks for the two countries need to be updated to better reflect the deficiencies and the need of reforms. In spite of the parliament's attempts, again, to protect itself from prosecution of bribery, trading with influence or conflict of interest, which the Commission read in the draft of the Penal Code, adopted in December by the Romanian MPs, the Romanian track-record still is long. So far, 28 MPs are convicted or are facing trial on corruption charges. Over a hundred mayors or deputy mayors are in trial for violations of the DNA rules. The report on Romania also contains something that can be addressed to the attention of Ms Zinaida Zlatanova, the Bulgarian justice minister and until a year ago head of the European Commission delegation in Sofia, who repeatedly stated the reform was the magistrates' responsibility: "The track record of the key judicial and integrity institutions has remained positive. Necessary and long awaited legislative changes have remained on track, and a spirit of cooperation between judicial institutions and the Ministry of Justice is helping managerial issues to be tackled. In this sense the situation has benefited from the calmer political atmosphere since spring 2013" (euinside highlights the bold part of the text and dedicates it especially to Ms Zlatanova). Although Bucharest is moving with huge steps ahead of Bulgaria and visibly has outstripped Sofia in many aspects, there still are doubts in the independence of the judiciary. Besides, there is resistance against the anti-corruption measures and the integrity at political and administrative level. A proof of that is the nontransparent process of change of the Penal Code which coincided with the equally non-transparent process of amendment of the Bulgarian Penal Code. The Commission reports that this caused widespread concerns whether the achieved success would not be reversed, although the constitutional Court has been doing its job and pronounced the amendments unconstitutional. Regarding the key appointments, Romania's success is mixed because some procedures happen in an open, transparent and merit-based way, but others are worth criticising because of political interference. 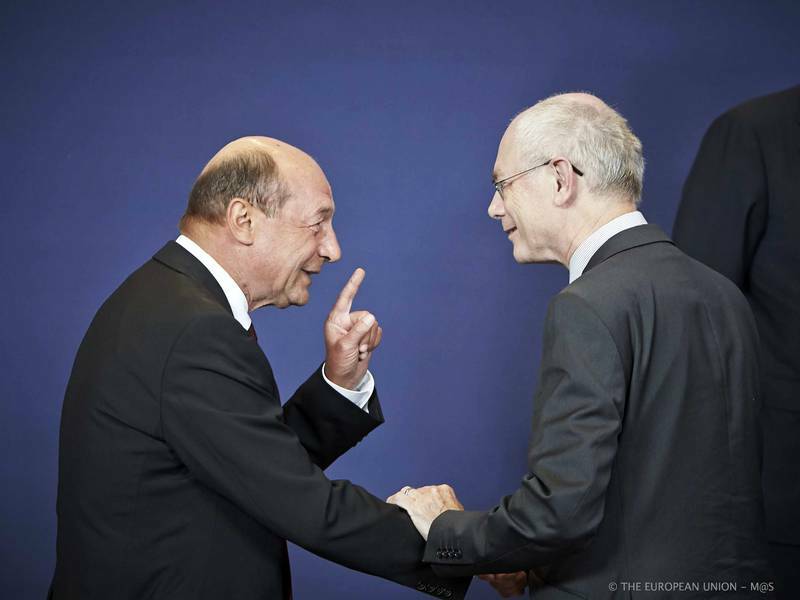 But, again, although the criticism is serious and should not in any way be underestimated, the Commission concludes that the general picture in Romania shows that the process of reforms can be perceived as sustainable. "The resilience of the key anti-corruption institutions in the face of sustained pressure has shown that the reform approach has taken root in important sections of Romanian society. In contrast, the readiness with which the foundation stones of reform could be challenged in Parliament served as a reminder that there is no consensus about pursuing the objectives of the CVM". The lack of political consensus is a finding that in the report on Bulgaria is raised to a major conclusion. That is why one of the most important recommendations to the Romanian authorities is to ensure the code of behaviour of the parliamentarians will involve clear provisions that the MPs and the parliamentary process will respect the independence of the judiciary and especially the court rulings. Regretfully, the situation with media in the Romanian report is ignored, which is a petty especially after Mark Gray, the Commission spokesman, pointed out during the presentation of the documents, that there is a reduction of pressure on media. In this sense, it would have been great if that pressure by the Commission had continued. It is important the report on Romania to be read very carefully in neighbouring Bulgaria, too, because many of the remarks, due to legal peculiarities of the Mechanism, are not included in the Bulgarian report, but they are completely relevant to the Bulgarian reality. After reading the Romanian report it comes to mind that it seems the situation in Romania is changing to a large extent because the Commission acknowledged the severity of the situation there. It reacted on time, with extraordinary reports, while with Bulgaria there was quite a long period of not a single piece of criticism by the Commission. This somewhat created a feeling in the Bulgarian politicians of impunity and increased their arrogance. On the one hand, Mark Gray is right when saying that more time was needed to see the big picture in Bulgaria, but on the other, it is evident that this has led not only to a lack of progress, but even to a significant retreat of the reforms process in Bulgaria. The situation was very well described by UK's ambassador in Sofia Jonathan Allen, who tweeted that Bulgaria makes small steps forward and big steps back.